The Nigeria police say it does not have any information on when Leah Sharibu, an abducted Dapchi schoolgirl, would be released. While speaking with reporters on Saturday in Maiduguri, Borno state, Ibrahim Idris, inspector-general of police (IGP), was quoted as saying the insurgents will release Sharibu on Saturday. Sharibu was among 110 students abducted from Dapchi Government Secondary School in Yobe state on February 19 and is still being held captive by Boko Haram even after 104 others were released last week Wednesday. The IGP said on Saturday: “I am supposed to go to Dapchi today (Saturday), but because I learnt that that schoolgirl, Leah, may be released today, that was why I had to shelve my trip to the town. “It is very understandable that in such circumstance, one does not create too much security presence in the area in a manner that it could sabotage the efforts being made there. 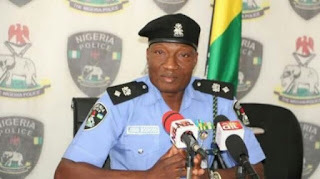 However, in a statement in Abuja on Sunday, Jimoh Moshood, the force spokesman, denied having any information about Sharibu’s release, saying the IG was misunderstood. “The attention of the Nigeria Police Force has been drawn to the publication on some social media platforms and conventional media indicating that the inspector general of police said the last Dapchi school girl will be released soon,” the statement read. “The statement of the IGP was misunderstood and misquoted. The misunderstanding may be as a result of the already released Dapchi school girls expected back home in Yobe State today but could not arrive due to weather condition. “The IGP could not also proceed to Dapchi because of same weather condition.